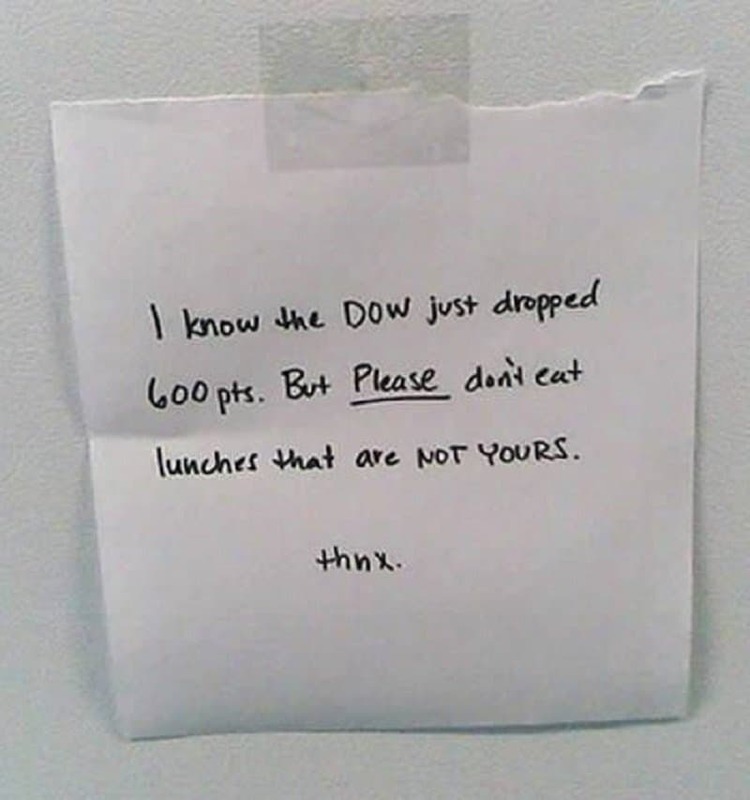 Losing a lot of money in the stock market can turn a person into an inconsiderate lunch thief. 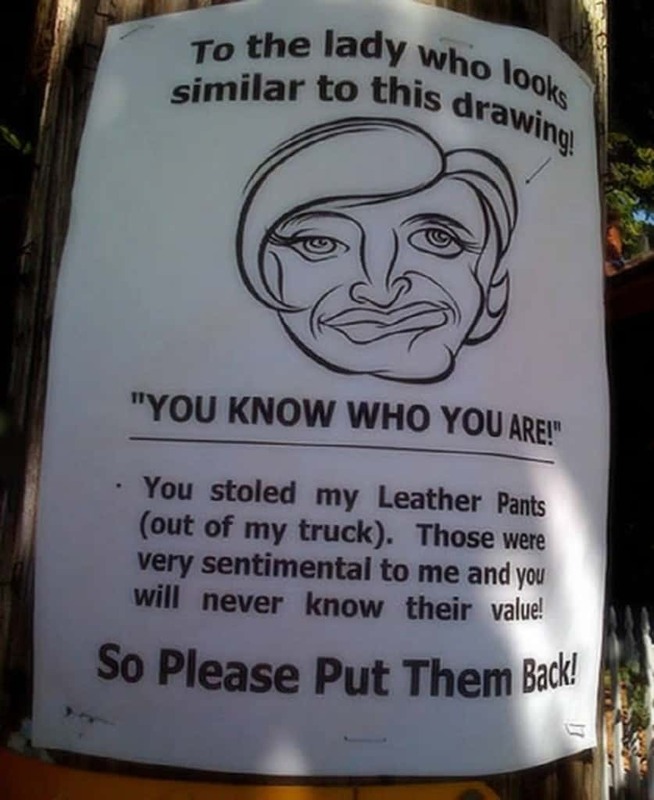 First of all, the thief in this situation looks like she had some bad botox, and secondly, why does this person sentimentally attached to a pair of leather pants, and why would he leave said pants in a truck? 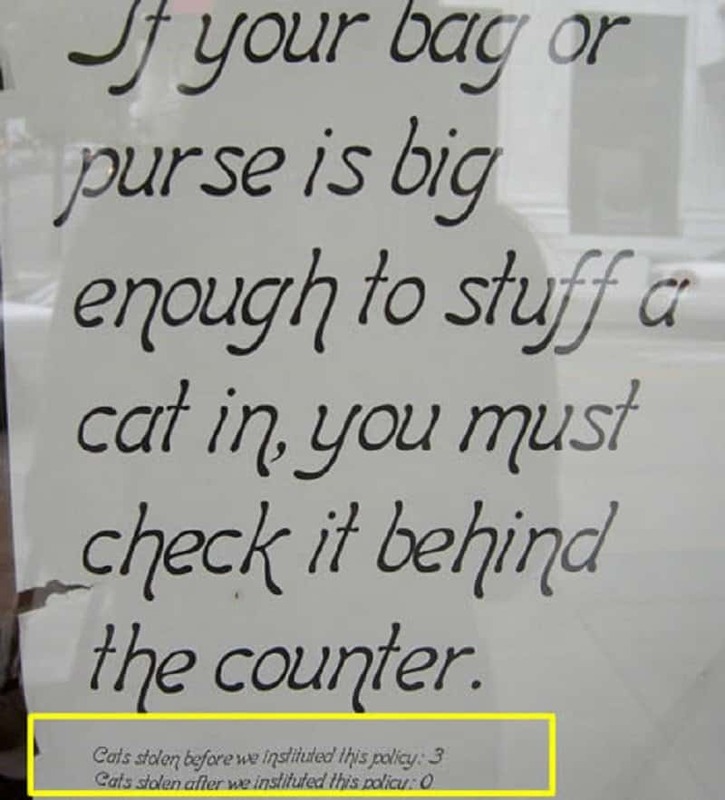 What has the world gotten to, that people can’t keep themselves from stealing cats. 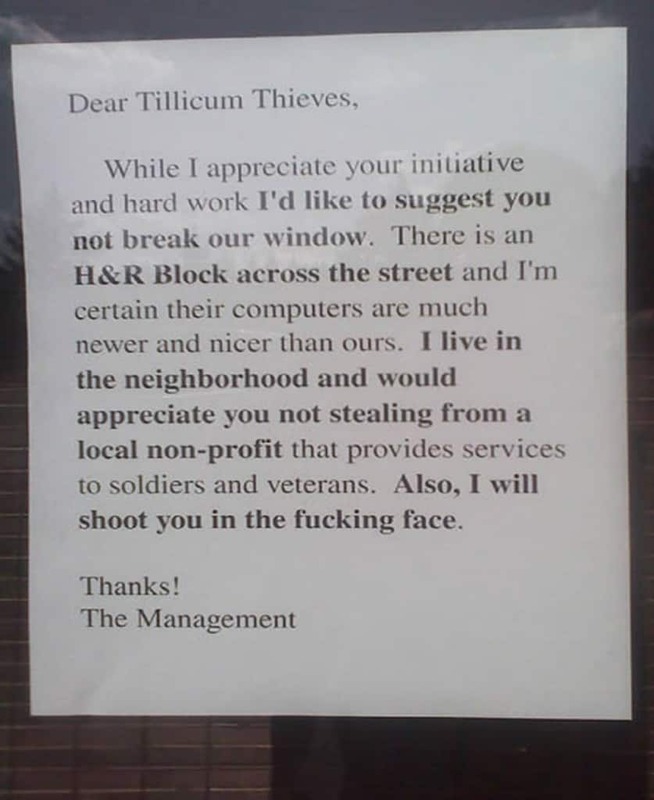 The management decided to point the thieves to a better direction, so that they at least get good computers for having invested time in stealing stuff. Smart thinking! 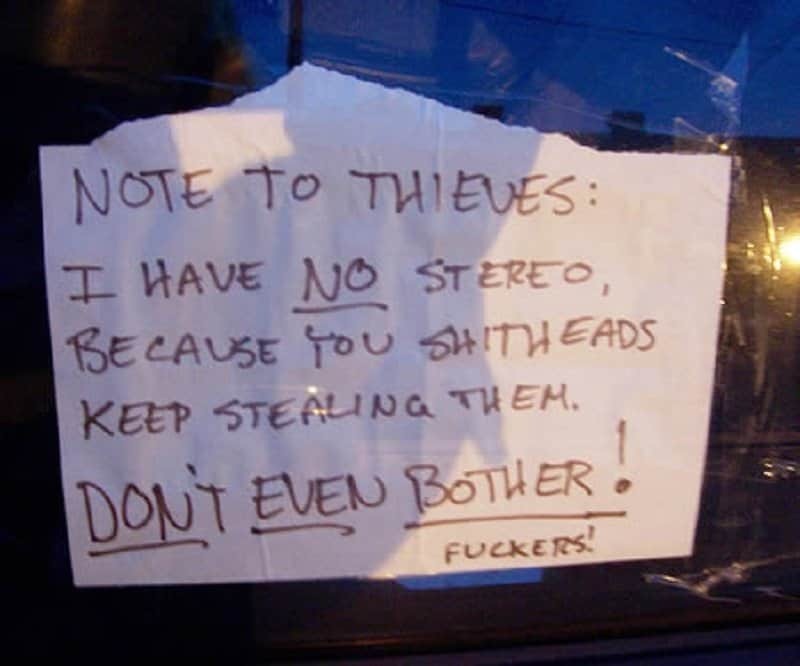 This is the angriest note I have ever read. 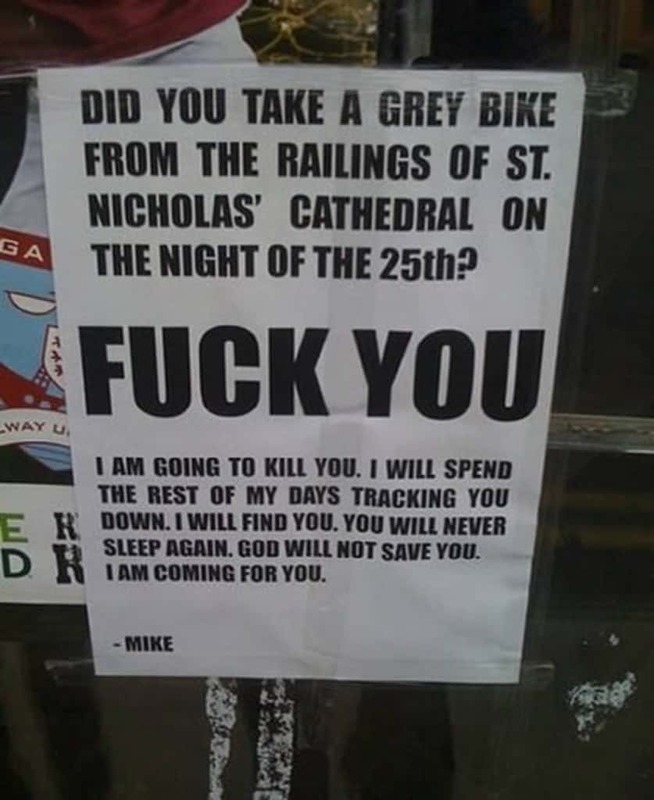 Mike is so pissed off, that he is willing to kill a man over a bike. I’m not quite sure Mike knows that murder trumps robbery in a court of law. 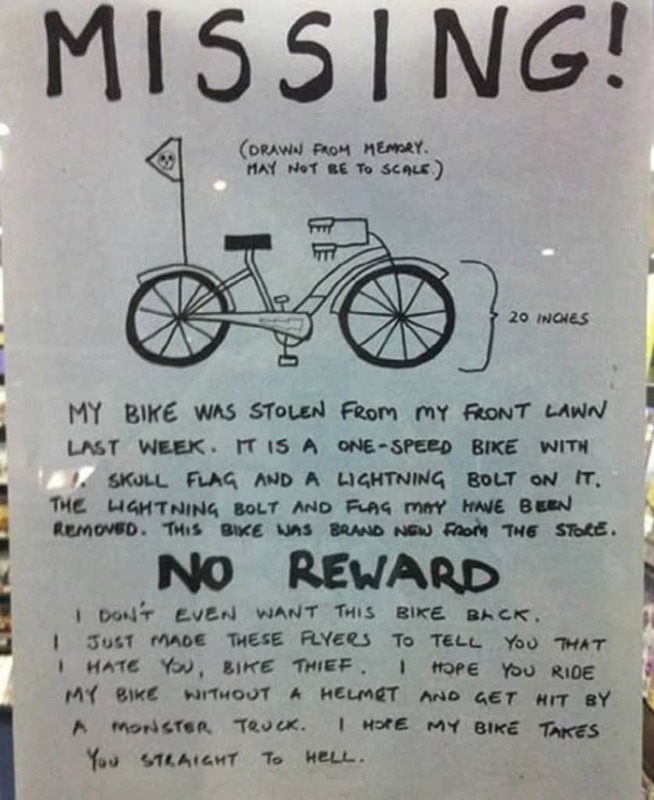 This person is offering no reward for anyone who can return his stolen geeky bike. 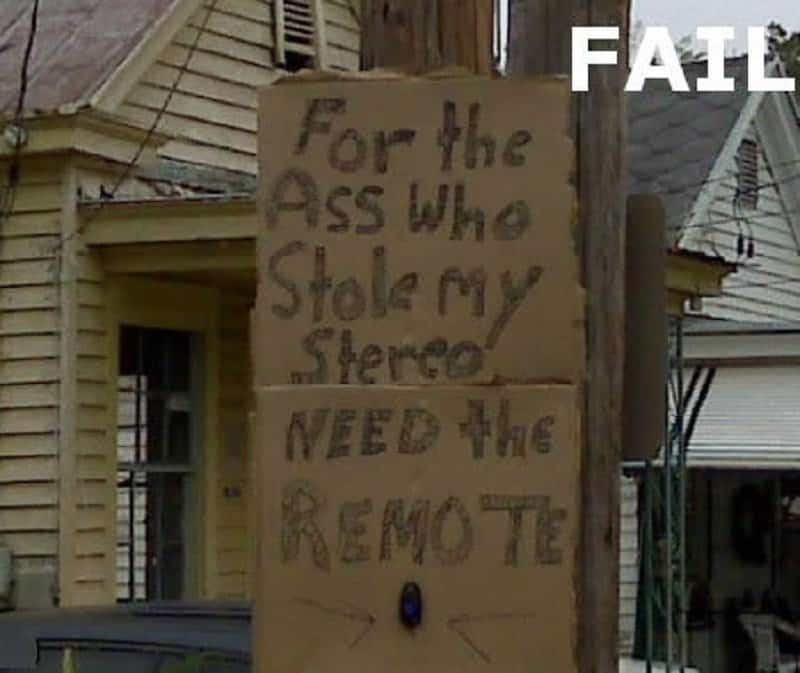 Why would he reward someone for returning something that isn’t theirs? 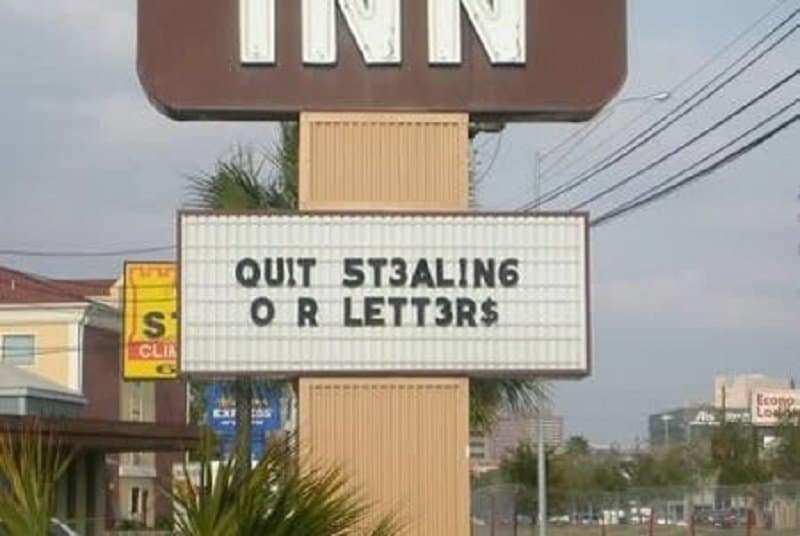 This hotel barely managed to put a sign together asking people not to steal their letters, because so many got taken already. This restaurant got so tired of people stealing their salt shakers, they thought it would help if they told people where they get their salt shakers from. 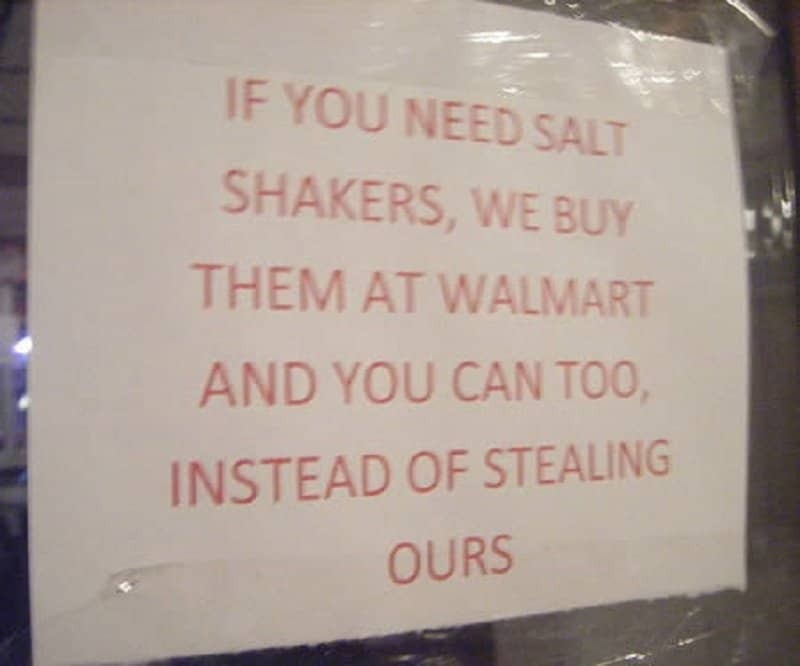 They don’t realize that people aren’t stealing the salt shakers because they are fancy, they just like stealing stuff!